Ridley’s Day Programme provides children and young adults with exciting, challenging and inspiring experiences. Participants are encouraged to accept new challenges, take risks and develop grit and resilience. Each programme emphasizes individual skills development, to think outside the box, co-operation and participation, and most importantly, fun! Please note all international students must be part of our Boarding Programmes in order to participate in any Day Camps. Only international students currently holding a valid Canadian passport or permanent residency card can participate in our non-boarding Day Camp offerings. Due to increased allergy and dietary restrictions we are unable to accommodate snacks. Campers are encouraged to bring their own peanut free snacks. Day Programmes run from 9:00a.m. to 4:00p.m. each day, with optional before care from (7:30am to 9:00am) and after care (from 4:00p.m. to 6:00p.m.). The cost of our Day Programme offerings per week is $280, unless otherwise noted. The pro-rated week (July 2-5) price for programmes that cost $280 is $224. We will be running our regularly scheduled camps on Monday, August 5th despite it being a Civic Holiday. Credit card payment is required to complete registration. To avoid disappointment, we recommend completing the online registration as soon as possible. Registration begins December 1, 2018. If a camp has reached its capacity, it will be displayed in different colour on the online registration form and will not be selectable. Note: Due to new Ministry of Ontario guidelines all campers must be the age of 4 at the time of their participation at camp. This programme is created to give children a chance to be exposed to the fundamentals of basketball and to work on those skills in a team environment. Our knowledgeable and inspirational instructors will provide a curriculum that is designed to encourage confidence, improve player skills and enhance teamwork, all while campers are making new friendships and being physically active. Hot lunch along with a daily swim. A child’s flexibility, range of motion and physical strength can all be increased through the art of dance. From a young age, children learn that they are able to express themselves not only through communication, but through movement as well. This programme is designed to encourage and welcome a child’s love of movement and allows their skills to be demonstrated. At the end of each week, parents, guardians and loved ones are invited to the final showcase performance that features the new skills acquired by our campers. The children will also design and craft an art creation to be used as a costume piece for their final performance. Throughout the week, teamwork, dedication and having fun is encouraged amongst the campers. Lights, camera, action! Our young thespians will take to the stage to showcase their newly acquired acting skills developed through theatre games and role-playing exercises. Activities are designed to increase self-confidence, presentation skills, coordination and creative expression. At the end of each week, campers will perform a play that will showcase their new talents. How do they build that? Our engineers-in-training will investigate how to design and build the tallest, strongest, most creative and efficient structures out of household materials. Explore the limits of our five senses and develop an understanding in how our senses of sight, hearing, taste, touch and smell affect our daily lives. July 15-19: What’s the Weather? Become a junior meteorologist by investigating the science behind clouds, tornados, hurricanes, typhoons, snow blizzards and a beautiful, warm summer’s day. Just as our campers are always full of energy, so is this camp! Delve into the science behind different forms of energy such as solar, kinetic, chemical and thermal sources and learn how each play a huge role in our daily lives. As future champions of the Earth, these junior scientists are learning how their ecological and global footprint can influence the atmosphere and all of the ecosystems within it. Reach for the stars? Not these young astronauts, because for them the stars are only the beginning! Spend a week on a journey with Buzz Lightyear exploring infinity and beyond! Designed for aspiring young doctors, this camp examines how the human body works by incorporating fun, hands-on activities that delve into aspects of various body systems such as circulatory, respiratory and integumentary systems, just to name a few. This camp explores various ecosystems and how they are interconnected. Through interactive activities, our young scientists will come to understand the various relationships between species and why each plays an important role in the web of life. Children are growing up in a tech-savvy, digital world, where their minds are exposed to many different technological outlets from a very young age. The Kibo™ Coding Programme is designed to give young children an introduction to what the world of coding is all about. By programming a Kibo™ Robot, children will use their imaginations to design and complete a sequence of commands. Children select the programming options by scanning wooden blocks containing the actions they wish for the robot to perform. This camp encourages young children to use rely on creative problem solving and teamwork. View video of the Kibo™ Coding Robot in action. Designed for junior campers, this programme is great for the beginner builder who is a hands-on learner. Learning is achieved by encouraging curiosity, creativity and critical thinking. Participants will learn to read model plans and build a variety of motorized and non-motorized models. Fun, yet educational, this camp will reinforce counting, number recognition, fine motor-skills, as well as basic science facts. A child’s world is full of colour, shapes and textures that have the potential to create an explosion of limitless creative masterpieces. Your ‘little’ artist will explore using a variety of art materials that will develop fine motor-skills and stimulate creative expression. Techniques include drawing, painting, collage and papier-maché sculpting. Campers will take home hand-crafted designs and great memories, but the mess stays in our art studio! An art exhibit will be mounted to display their creative productions. Prepare for a fun-filled week with a variety of sports, along with games and exciting activities appropriate to the age level of the campers. Participants engage in a variety of sports, including soccer, basketball, volleyball, road hockey, daily swimming, ice skating, tennis, frisbee, and touch football. Children are required to bring their own ice skates and helmets (no hockey sticks or padding permitted). Lessons from the legendary Dr. Seuss, campers will engage in crafts, math and science through the residents of Whoville. Bon voyage! Our young travellers will explore the culture, geography, language and sports of a different country each day. Taking a giant leap back in time, campers will discover what life was like in various eras. A day with the dinosaurs, medieval knights, time at the Coliseum are just a few of the stops our time travellers will take. Campers will explore what lies under the sea, engage in a study on the water cycle and participate in educational, beach-life activities. July 29-Aug. 2: On the Go! Cars, boats, bikes, planes, rickshaws, helicopters, funiculars and trains! These are just some of the modes of transportation that will be explored as campers investigate various means of travel. Perfect for all zoo lovers, this programme will examine a day in the life of variety of species within the animal kingdom. This week is all about active minds and active bodies! Our young athletes will expand their minds while engaging in a variety of sports. Aug. 19-23: How does your Garden Grow? Taking tips from Jack, campers will make their own beanstalk and will investigate how to grow other garden delicacies. Building physical fitness with the beautiful game of soccer! Drills and games for this co-ed camp are designed to allow every child to be involved. Skills learned throughout the programme include: dribbling, shooting, passing, and the importance of teamwork. Note: Soccer cleats and shin pads are not required. This sport-specific camp will improve athletes’ balance, hand-eye coordination and timing. Instructors will use smaller courts and slower game-play to allow campers to acquire control in a rally. The camp aims to increase player confidence, while giving athletes a chance to make friends and have fun. This international elite hockey programme is designed to elevate core fundamentals, while advancing each player’s skillset. Conditioning and speed will be integrated into on and off-ice training for these AA and AAA level athletes. This high-performance programme will be executed by Ridley’s internationally-experienced senior coaching staff. Limited space is available for specialized goalie training. Individualized assessments along with focused instruction in skating, shooting, puck control and playmaking are all designed to improve player development. Domestic day campers, who have the choice between two one-week day camps, will train alongside international players who are part of our two-week hockey boarding programme. All international players must board. We invite both domestic and international campers to share in this exciting, educational experience. Day and boarding options are available. Hot lunch and designated swims will be interspersed with training. This premier camp focuses on competitive player development and is led by UEFA certified professionals and coaches with an abundance of international instructional experience. Player advancement is achieved through technical and tactical drills, video analysis, strength and conditioning sessions, nutritional education and on-field instruction (with specialized professional goalkeeper training available). Domestic day campers, who have the choice between two one-week day camps, will train alongside international players who are part of our two-week soccer boarding programme. All international players must board. During this exciting educational arts and wellness programme, students will participate in meditation and yoga activities instructed by a certified yoga instructor. They will learn about the science and health benefits of meditation and participate in daily swimming in our indoor pool. Students will take part in a fun and engaging art session each day where many different art projects will be offered. A programme geared towards both novice and seasoned basketball players. Participants will actively engage in technical training activities that will enhance both their individual skillsets as well as teamwork. Dribbling, shooting form, game speed, defending and fitness will all be addressed, ensuring well-rounded player development. Explore the artistic genius of great Canadian artists through a variety of tactile learning experiences. Both domestic day and international boarding participants willexplore the techniques and processes employed by the Group of Seven artists, such as plein air painting, Emily Carr’s one-point perspective and Ted Harrison’s landscape design style. Students will also be exposed to First Nations traditional art practices and visit the renowned McMichael Canadian art collection in Vaughan, Ontario. The focus of this art experience is to celebrate and develop campers’ creative expression. Note: campers must have at least a moderate level of English proficiency. Campers will step into the shoes of a crime scene investigator, where they will work together to gather and track evidence to convict a fictional felon. They’ll test finger prints, analyze fake blood, photograph ‘crime scenes’ and more. Beginner and advanced dancers will delve into many different styles of dance, such as: modern, jazz, ballet, and hip hop. Self-confidence, leadership and self-expression will be taught and encouraged. Dancers will work in teams to put together a final showcase performance for their loved ones. If “all the world is a stage”, developing skills such as effective communication, creative expression, coordination, stage direction and improvisation are all important even outside of Hollywood! This camp offers instruction in fundamental presentation skills, role-playing, character development and team building in a fun, engaging week that leads to a theatrical production that allows the campers to showcase their new talents. Campers will interact with like-minded leaders and engage in cooperative learning activities designed to enhance independent thinking, strong decision making, empathy and confidence. These skills will provide a strong foundation to encourage participants to become influential leaders of the future. During the first week of this two-week programme, students will hone in on what it means to be a leader in the workplace. Students will complete the Standard First Aid and CPR Certification course and provided with a certificate of completion. During the second week, our students will become “Counsellors in Training” and will apply their newly acquired skills to structured leadership work experience by designing, organizing and implementing an ‘Olympics Day’ that will engage the participation of our day campers. Students will earn volunteer hours that can be used towards their mandatory high school community service hours requirements. This programme offers a fantastic opportunity for students to exercise teamwork, communication and group dynamics. Prepare for a fun-filled week with a variety of sports, along with games and exciting activities appropriate to the age level of the campers. Participants engage in a number of sports, including soccer, basketball, volleyball, road hockey, daily swimming, ice skating, tennis, frisbee, and touch football. Children are required to bring their own ice skates and helmets. Hot lunch along with a daily swim included. Our Robotics camp allows young scientists and engineers to design, build, programme and test robots. STEM (science, technology, engineering, and mathematics) concepts enable students to become better problem solvers and critical thinkers. With computers and robots being used in many different aspects of the work force and in our everyday lives, these types of programmes are becoming increasingly valuable. Campers will explore coding using the LEGO Mindstorms EV3™robot, work in teams to design their robot and programme it to perform many different actions. Teamwork, communication and collaboration are constantly encouraged throughout this camp. Rowers will develop their physical literacy on the water and learn technical skills in sculling (two oars). Character development such as teamwork, confidence, strength and leadership will be points of focus. 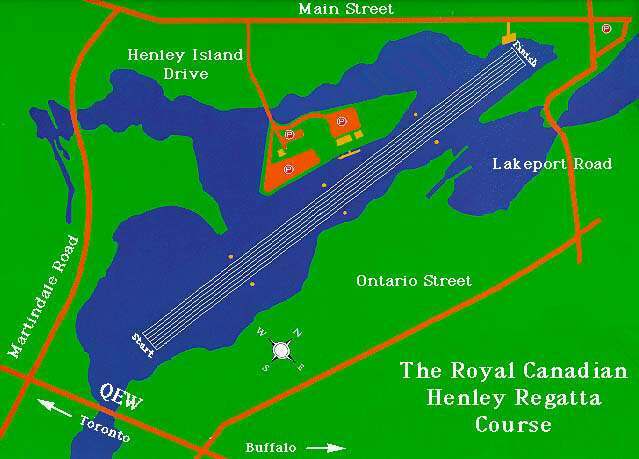 This camp runs from 9:00am to 12:00pm on Henley Island. In the case of inclement weather, campers will relocate to either the Ridley campus or our indoor Ridley Rowing Tank. Note: a mandatory swim test will be held on the first day of camp at the Ridley’s Staples Pool. Therefore, drop off and pick up on the first day of camp will be at the Fieldhouse on Ridley College campus. For all other days, drop off and pick up will be at Henley Island. Any campers who do not successfully pass this test will be required to wear a buoyancy lifebelt for their safety during on-water sessions. Spaces are limited to 14 students per session. This programme develops a greater understanding of how things work and why things happen. In doing so, it encourages our campers to probe deeper into the fundamental concepts in science and spark their inquisitive natures. Topics such as earth science, space, energy, life science and structural design are just some of the exciting concepts that will be explored. This camp is designed for any soccer enthusiast who is looking to improve their game and have fun while developing skills in shooting, receiving, dribbling, defending and scoring. Physical fitness, ball control and team play are all areas of focus. Note: players are required to bring cleats, shin guards, soccer socks, running shoes, swim suit and towel to camp each day. This programme is designed for students from beginner to advanced skill levels. Lessons will be provided by a tennis pro who will promote a motivating learning environment. Each day will begin with feeding drills and exercises to prepare each camper for their morning session. Progressive tennis will take place during the first few days of the programme to hone in on each player’s skill and determine playing level. Later in the week, the technical and tactical elements of the game will be the focus in order to teach skills necessary for singles and doubles play. Other sport activities, along with speed and agility training, will be offered during the afternoons, as well as a daily swim. Alternate indoor activities will be scheduled for rainy days. This programme takes place on Ridley campus on our outdoor tennis courts. Note: Players must bring their own tennis racquets. Requests for cancellations or refunds must be made in writing and submitted to the Ridley College Summer Programmes office via email as summerprogrammes@ridleycollege.com. Requests for refunds received prior to four weeks before the start date of the programme will receive a full refund less an administration fee of 10%. Refund requests received between one and four weeks prior to the start date of the programme are subject to an administration fee of 50% of the total fee. Refund requests received less than one week prior to the start date of camp will not qualify for a refund. Pro-rated refunds are not available for days absent, meals not taken or other services not fully utilized. The full session’s fees are due and payable if a child is registered and attends any part of a session. Any camper who exhibits behavior that is deemed inappropriate by the Summer Programmes Manager will have their participation suspended or terminated without a refund. Refunds may take four to six weeks to process. Ridley endeavors to provide one week notice for the cancellation of any week of camp; however, all families will be offered an alternate programme for the same week or a full refund.